Sao Paulo, Brazil — the most populous city in Brazil, a mecca of commerce, finance, arts and entertainment… described by Lonely Planet as a “monster” that still possesses a “fertile cultural life”, a multicultural melting pot of 20 million people in an area of 576 square miles. And, boasting a major collection of Modernist art and architecture with a uniquely engaging spirit. 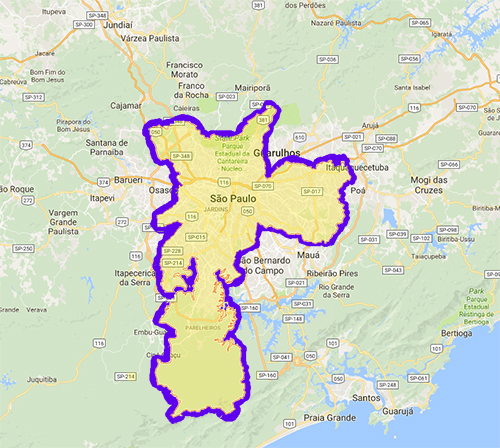 The city of Sao Paulo is located in the southeastern corner of Brazil. 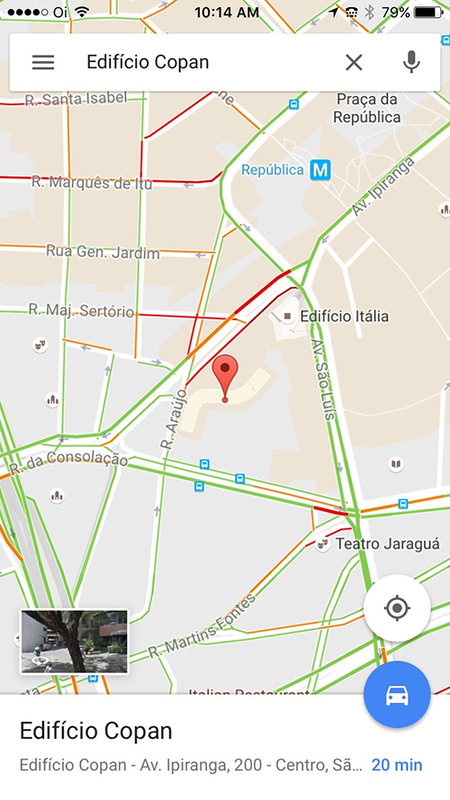 Similar landmarks in other cities are not so accessible to the untrained mind, apparently. 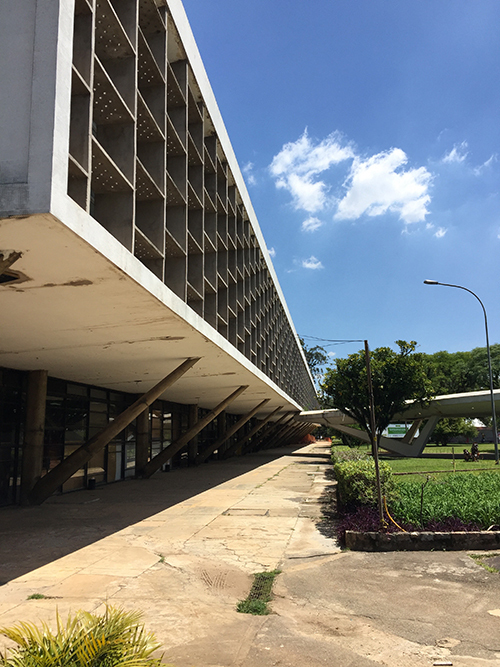 “In Brazil, I wanted to focus on what can be learned from these buildings, in order to employ the same techniques in my own projects.” He mentioned several features, one of which was brise soleil – also seen in Desert Modern architecture from the 40s and 50s. 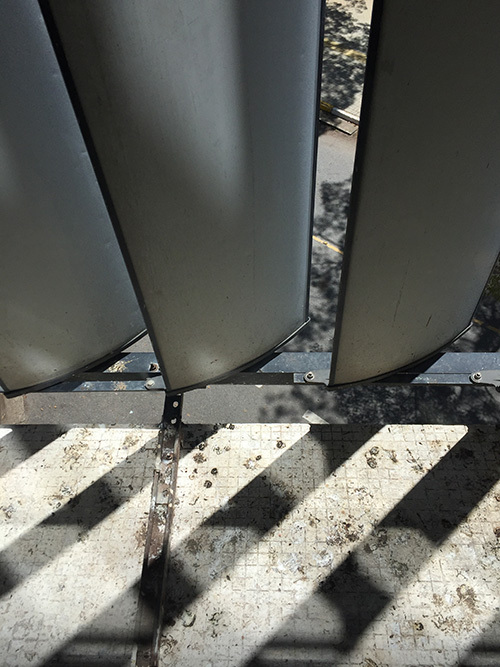 To be effective, brise soleil should be applied on the South or West side of a building in the northern hemisphere – or on the North side for buildings in the southern hemisphere. It also works in equatorial regions. 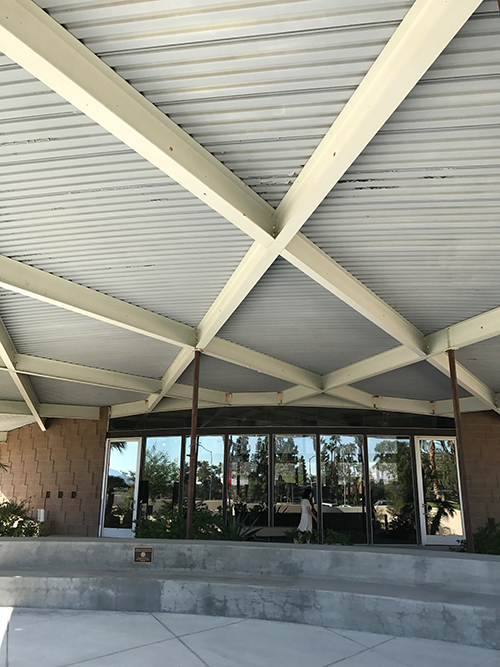 Shading methods include both vertical fins and large overhangs. 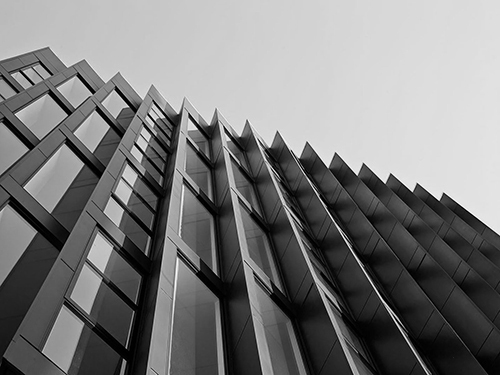 By blocking the sun before it strikes the wall or window, sun shading is far more effective at managing heat gain than even the most reflective of glass, or interior shades. 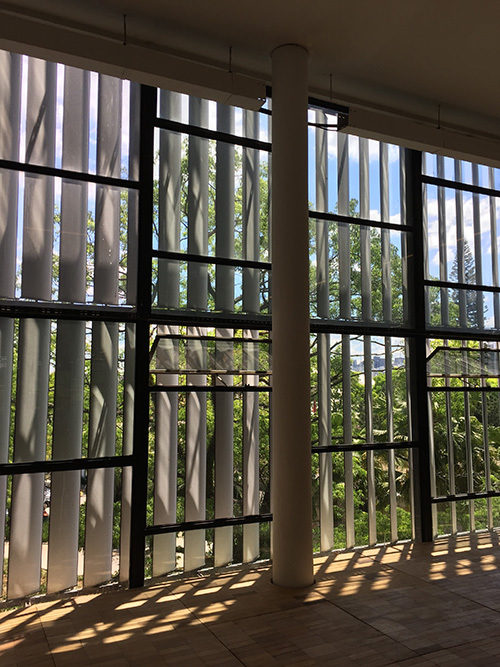 It reduces glare in areas with very bright and direct sunlight, making them feel more livable and less exposed without compromising outdoor views. 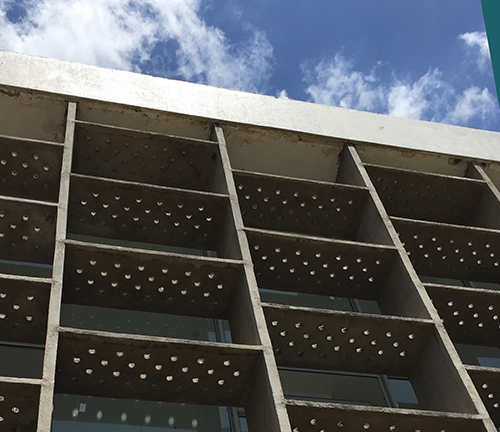 Although air-permeable perforated screens that reduce direct sunlight have been around for millennia, the brise soleil concept specifically refers to blocking the sun’s rays altogether through careful positioning of horizontal or vertical fins, at an angle that is sometimes adjustable and sometimes fixed in place. 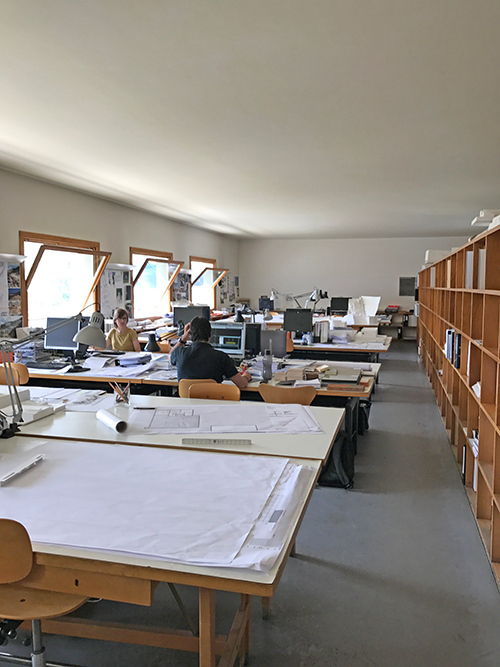 One pioneer of this approach was le Corbusier, who employed sun shading in many of his projects, including well-known works such as Chandigarh, La Tourette, and the Carpenter Center. 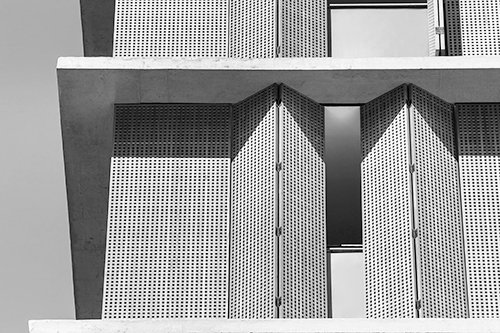 Modernist architect Le Corbusier pioneered the use of brise soleil in the earlier part of the 20th century. 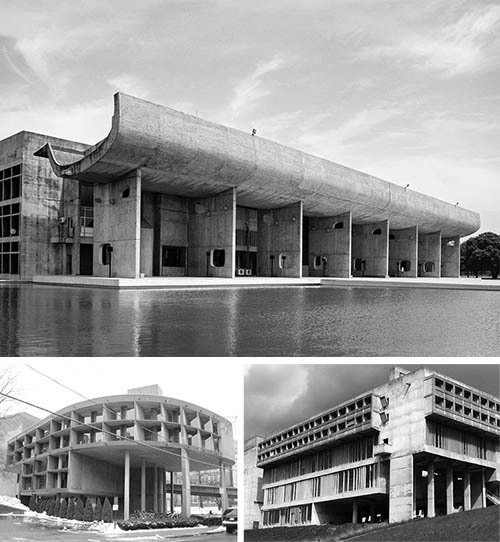 Shown clockwise from top: Palace of Assembly, Chandigarh, India, built 1962; Carpenter Center for the Visual Arts, Cambridge, MA, built 1963; Sainte Marie de La Tourette monastery in France, completed 1960. Note the deeply set windows, sheltered bottom story, and vertical fins. 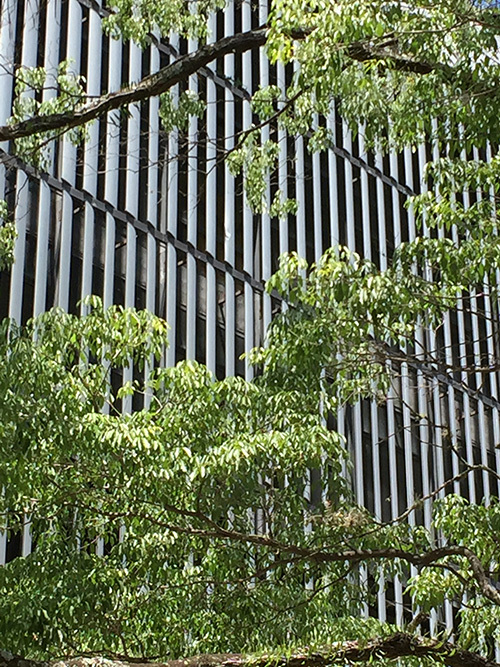 Horizontal fins look similar to vertical louvers, but they don’t prevent the sun’s rays from striking the window glass, and thus the original function they might have served is lost. This feature may work better on the South facade (facing the viewer) than on the West (left). 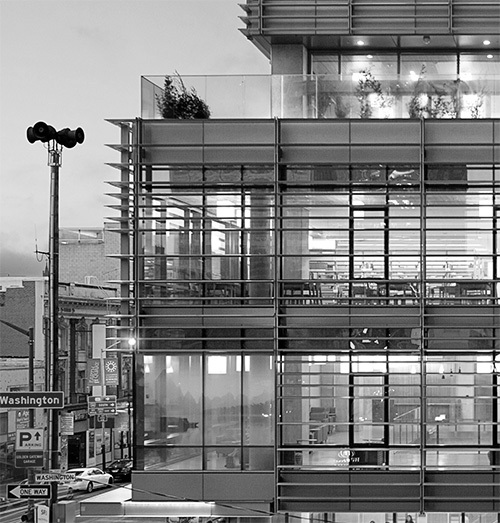 City College of San Francsico campus. 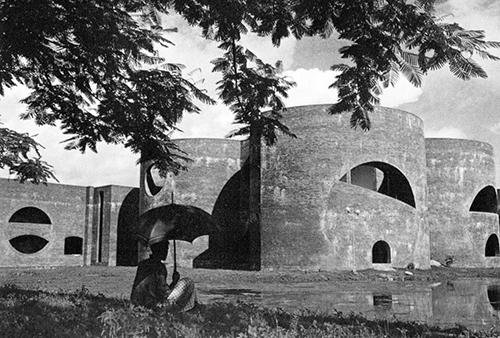 National Assembly Building in Bangladesh designed by Louis Kahn in 1962, finally completed in 1982. 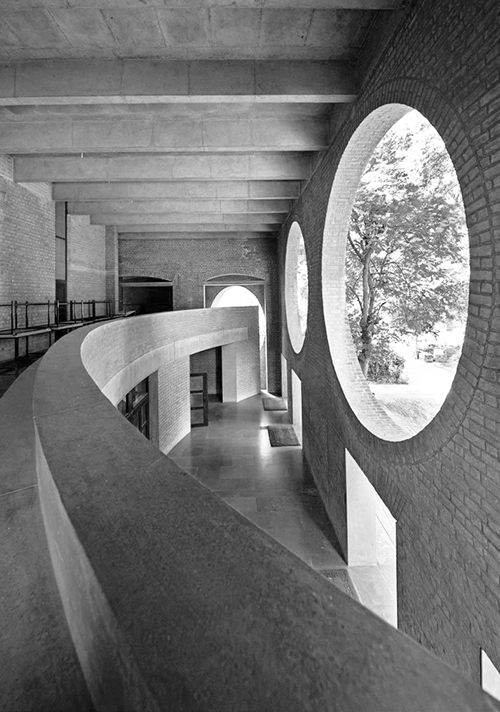 Indian Institute of Management, Ahmedabad, India by Louis Kahn. 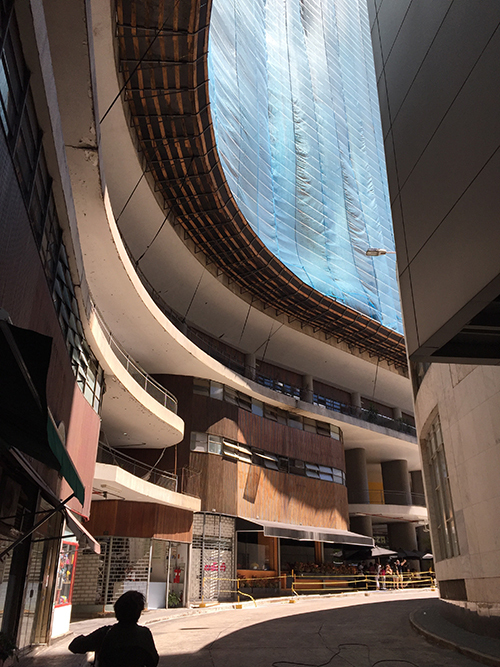 Oscar Niemeyer’s Edificio Copan (Copan Building) in Sao Paulo, Brazil, boasts a distinctive yet simple “s” curve, and has 1,000 residential units. 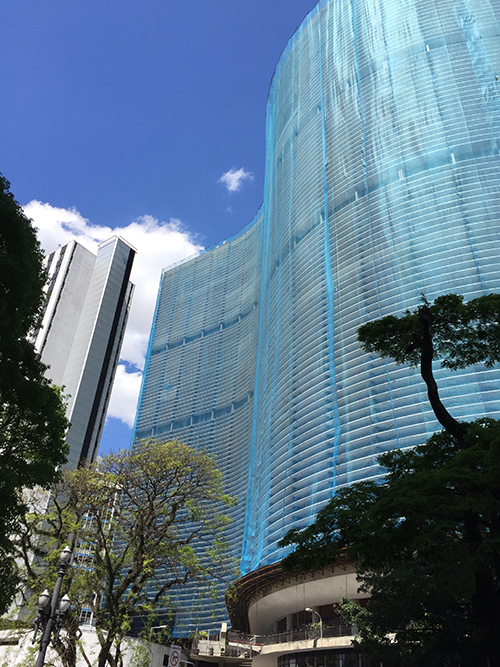 Oscar Niemeyer’s Edificio Copan is located in Sao Paulo, Brazil. Coverings are from recent construction. 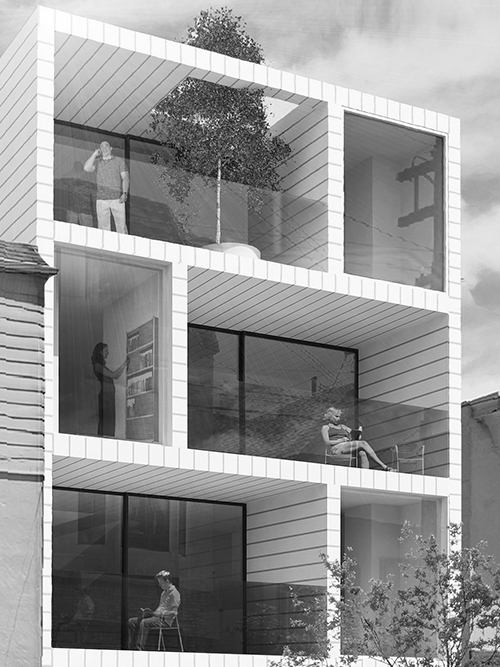 Image: Mark English Architects. 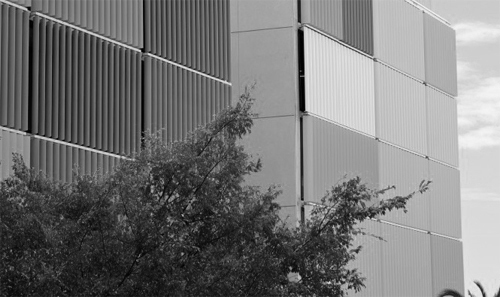 So, people were using brise soleil in the 1960s, what about today? 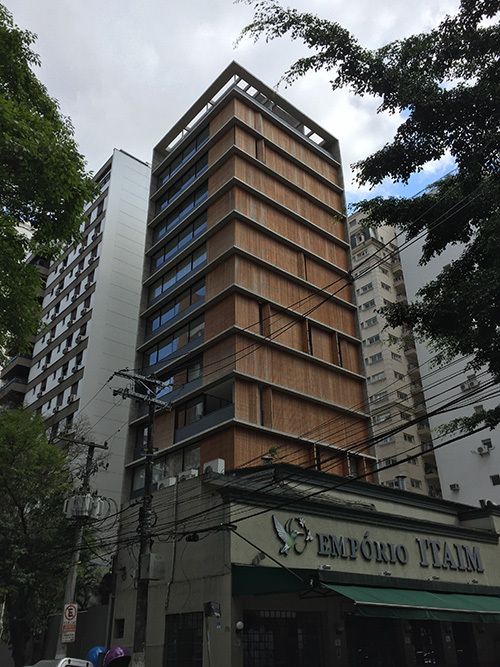 Here are some sliding wooden screens on two sides of a corner high-rise by architect Mario Kogan at Studio MK27, also in Sao Paulo, Brazil. Vitacon Itaim was completed in 2014. A recent article on The Architects’ Take featured the work of Stanley Saitowitz among others. Mark English emphasized Saitowitz’ creative problem-solving and mentioned several other Saitowitz projects. On this visualization of a new project at 2740 McAllister in San Francisco, Stanley Saitowitz uses generous overhangs, recessed window walls, and vertical side fins to allow a mix of shade and sun. 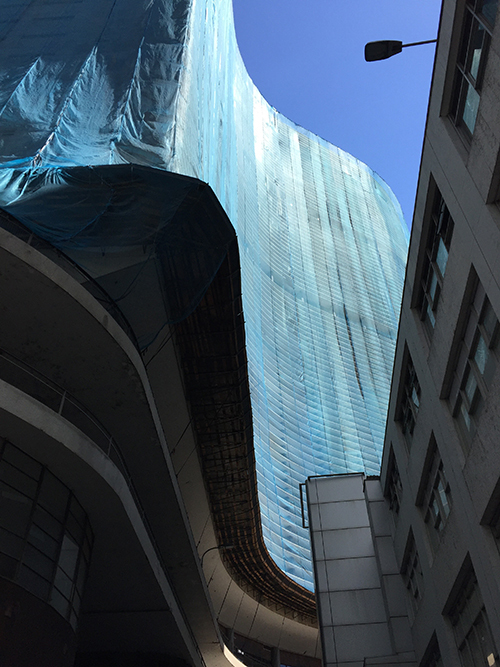 Sao Paulo and other Brazilian cities can teach us a lot about efficient building design, as well as having an aesthetic that celebrates a sensual experience rather than a purely intellectual one. Many of these treasures are under-appreciated by those who live in other parts of the world. 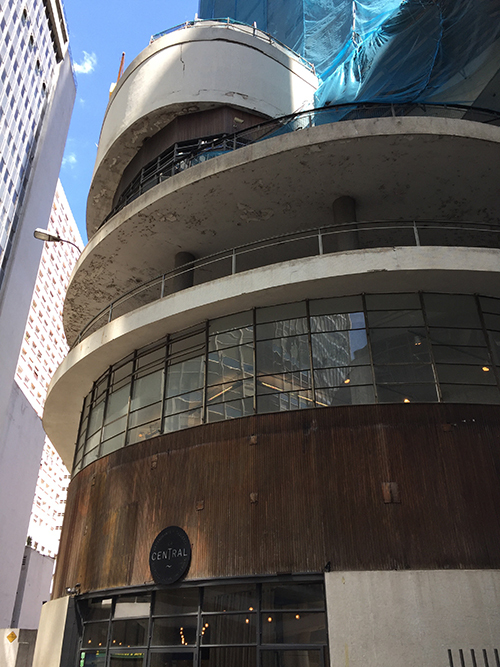 Look for further articles on Brazilian modernism.